The Mobile Food Pantry is a great way to supplement monthly food budgets for people who may not have access to traditional food pantries. Visitors to the Mobile Food Pantry recieve a pre-packed bag of non-perishables as well as fresh produce, meat, and bread as available. In 2017, Wayside provided supplemental food to 1,950 individuals through its Mobile Food Pantries. 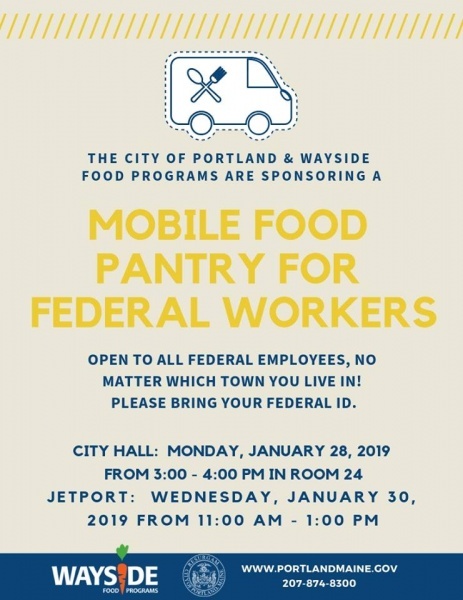 These food pantries are a partnership with the Portland Housing Authority and the South Portland West End Neighborhood Association. Details/requirements: Please bring your own bags. A brief registration process is required.